Leposavic camp in northern Kosovo used to be a storage for tanks of the Yugoslav army. 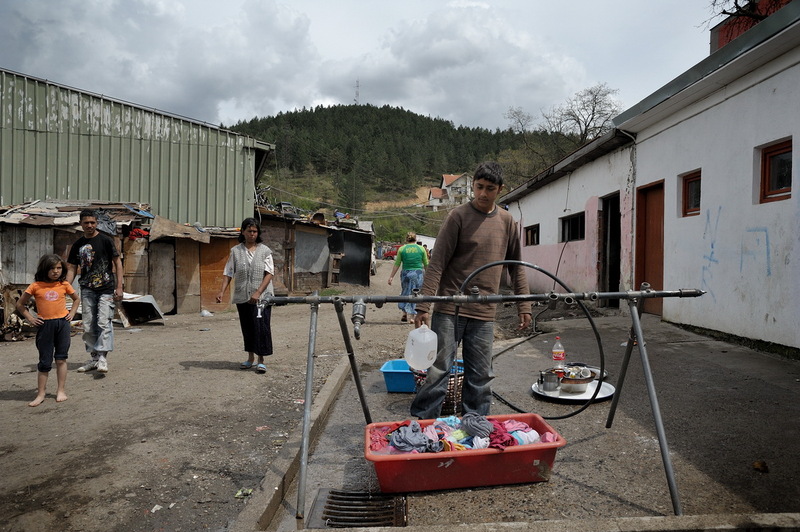 Now it houses Roma families who were internally displaced in the war. Upon their return from Germany, the Hasani family had nowhere to stay and now lives with stepfamily in a small unit.